Ms. Cacy’s article is well worth the time to read. PS: Ferrets are perfectly lovely animals, and don’t deserve to be compared with these demonic democrats. 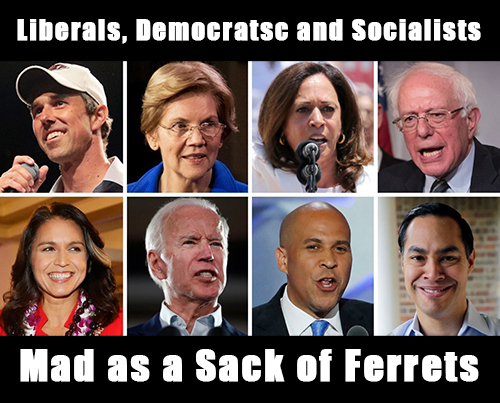 This entry was posted in Liberals/Democrats/Left and tagged CDN, Communities Digital News, Democrats = Sack of Ferrets, democrats as mad as a sack of ferrets, Karen Hagestad Cacy, Memes. Bookmark the permalink.